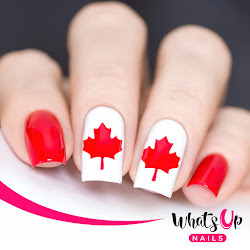 Jazz up your nails by painting them completely red, red and white, red base and white French tips, or spruce it up by adding a little Canadian Flag on your nails. These Canadian Flag Nail Vinyls by Whats Up Nails couldn't be easier and the outcome looks amazing. You could paint on a red base and use a white nail polish and paint over the stencil or do the reverse, white base and paint over the stencil with a red nail polish. If white doesn't seem flattering, try a clear or sheer nail polish. The possibilities are endless with these nail vinyls, so go ahead and show off your creativity! I have partnered with Nail Polish Canada to giveaway free Whats Up Nails Canadian Flag Nail Vinyls to the first 10 readers who click the link and use the coupon code on Nail Polish Canada. 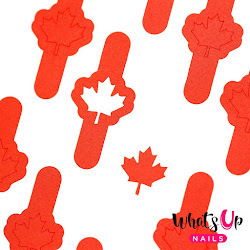 To claim your free nail vinyl, head on over to www.nailpolishcanada.com, add the Canadian Flag Nail Vinyls to your shopping cart and use the coupon code: UVDQ6A0WZU7. Please note: Coupon code valid for the first 10 readers. Canadian residents only (sorry)! 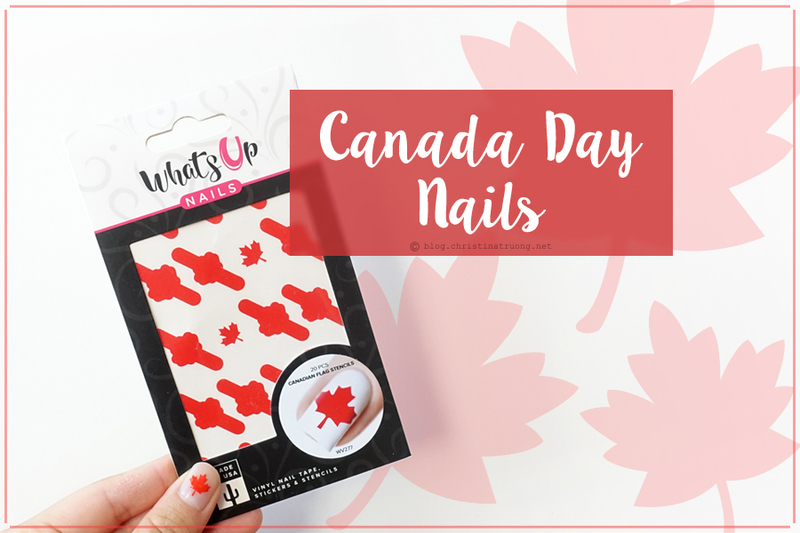 And if you're one of the lucky 10 people to receive your free Canadian Flag Nail Vinyls, please feel free to tag me on Facebook, Twitter, or Instagram so I can see your Canada Day nails!